It’s inevitable. You will eventually hit some rough patches in your marriage, and in your life in general. So how do you hang on and press through those storms? If your husband is caught in a pattern of sin against you, you will need to respectfully confront the problem. If you guys just plain disagree on how to handle something, you’ll have to work for a compromise. But when the situation in your marriage seems hopeless, that’s when we have to learn to persevere. One of the best ways to remember the past deeds of the Lord is to write down “God-sightings” in a journal. 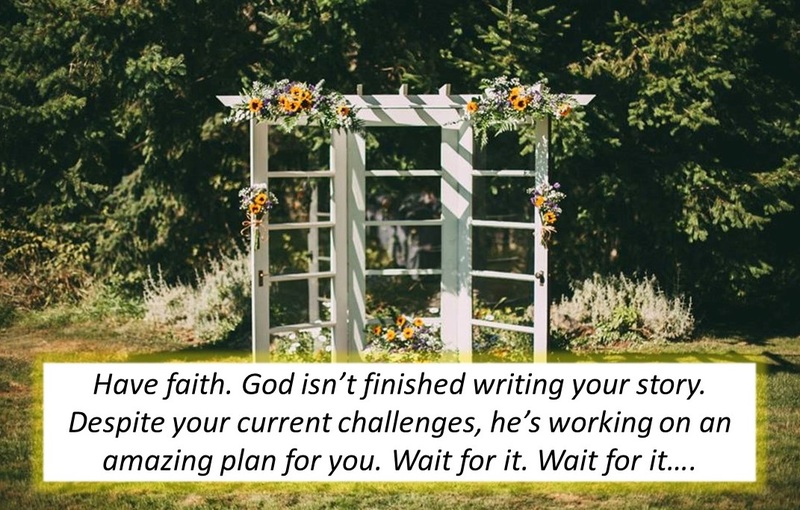 I have a journal filled with little notes about answered prayers or “God-wink” moments where I can see that God orchestrated something amazing in my life. I re-read these entries several times a year, and my faith is increased once again. As my faith in God builds, I can persevere more easily during my current trial. Do you have a “God-sighting” journal? ← The replay button in marriage!